England Football Supporters, after a long travel, a full day of cheering your support or hard day at the pub you’ll need to rest your weary head so do it on this comfy microbead cushion and do it in style. Small and light, soft and squishy, the microbead cushion makes a great travel cushion. If you’re travelling with family, then a micro bead cushion for the kids would be welcome. Especially one that is so wonderfully decorated to show support for England Football. 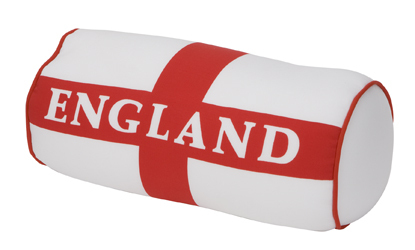 The England Supporters microbead cushion makes a great gift idea too!